I have developed a new hobby this summer – photographing historical markers and posting them on my web site at www.MississippiMarkers.com. The historical marker program was first established under the provisions of a bill authored by then State Senator Frank Smith in 1948. Did you know that Starkville has 14 historical markers from the Mississippi Department of Archives and History within our city limits? Columbus has 23 that I have located. Greenville has at least 35. There are nearly 900 historical markers in Mississippi, but no map or guide to them all. The Mississippi Freedom Trail has 16 markers and plans for 15 more. The new Mississippi Country Music Trail has 25 markers so far. The Mississippi Blues Trail has an excellent app to help find its 180 markers and counting. 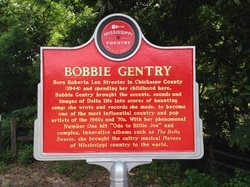 The Oktibbeha County blues marker is next to the Oktibbeha County Heritage Museum. Markers are a great way to learn history. Civil War soldiers from the Battle of Shiloh are buried in Okolona. Woodrow Wilson spent his first Christmas as president in Long Beach. Hernando de Soto crossed the Tombigbee River near Aberdeen. Charles Lindbergh spent several days in Maben selling rides in his airplane in 1923. The Marshall Plan was first announced by Undersecretary of State Dean Acheson on the campus of Delta State University. Still, the first reaction I get when I tell someone about my new hobby is the same. “How boring!” they think. But it’s not the destination, it’s the journey. On the way to Macon, there’s the Mennonite bakery in Brooksville. My favorite is the plucking bread. Most of us bypass Macon on Highway 45, but the town itself has some beautiful, historic churches and has a number of antebellum homes. In one small town, I stopped at the local florist shop to ask directions. Surely a place that delivers flowers knows directions to every place in town. The husband and wife owners got into a good-natured dispute about where a certain marker was and how to get there. It was worth the price of admission, as they say. I later verified that the wife was correct. My son Andrew accompanied me to Kemper County to find a marker, and I was able to show him the law office, home and gravesite of Senator John C. Stennis. But his favorite part of the trip was the impromptu turn we took to visit Sciple’s Water Mill, which has been operating since 1790, when George Washington was president. The mill is way out in the country down a dirt road, and there is no marker there. We bought grits and stone-ground corn meal on the honor system. The prices are listed next to the merchandise, and we put exact change in a metal box. It was like going back in time. In the Delta, we had more adventures. A crop dusting plane buzzed our car – twice! In Ruleville, when I asked a stranger where to find the Fannie Lou Hamer marker, she said, “Just follow me.” Then she told us the best place to eat lunch there was at a gas station called Sonny’s. We highly recommend the fried catfish. One of the most scenic drives in the Delta is down a dirt road on the way to Po Monkeys juke joint west of Merigold, which is north of Cleveland. We would have never discovered it had we not been searching for a marker on the Mississippi Blues Trail. The next time you see a marker, pull over to read it. And if you keep looking for more, you are sure to find unexpected pleasures along the way.